A fire broke out off the Otay Lakes Road this afternoon on Monday, January 1, 2018 from an unknown cause. 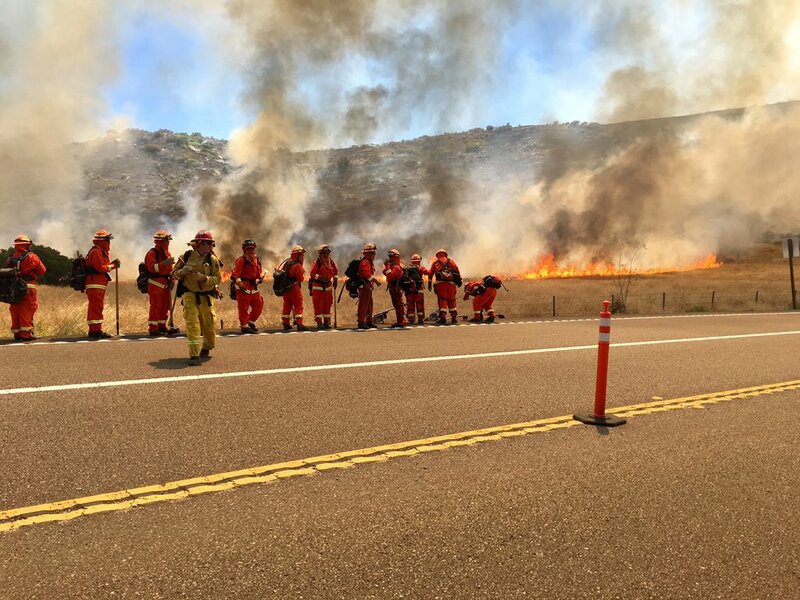 Fire crews from the CAL FIRE – San Diego were quickly on-scene and reported there were actually two small fires, with the largest already reached a full acre. The fire would be put out quickly with a total of two acres destroyed. Resources were said to remain on-scene and committed into the evening hours. This area has been hit by fire many times over in the last five years. Here is a timeline of those fire incidents. (Info is gleaned from mostly Twitter from actual fire pressers, media and eyewitnesses). 5/17/2017: 14600 block x Otay Lakes Road. 6/26 – 7/5/2015: Near Otay Lakes Road x Woods Drive, San Diego County. 11/23/2014: Otay Lakes Road, West of Hwy 94. And, the fires in the same area continue on….